Tentacles: Vixus tentacles can reach around the creature in a 7 meter radius, grabbing targets and feeding them to it's mouth. Bite: The vixus has a vicious bite, and can do Str+2D damage to any targets it can bite. 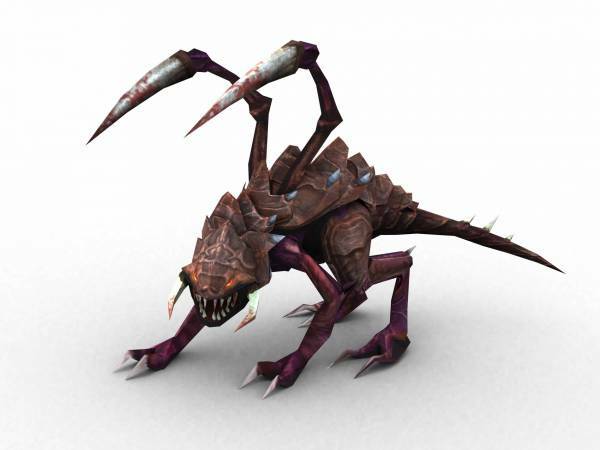 Description: A vixus was a stationary, non-sentient creature that resembled a sarlacc and originated from Umbara. Thanks to its ropey tentacles that looked like harmless vines, the vixus would ensnare its victims and draw them into its toothy mouth. They were native to the planet Umbara. They possessed seven large tentacles that were attached to a dome-shaped mouth filled with sharp teeth. An additional, pink tentacle ending with a taloned grasper was located in the vixus' maw, allowing the creature to grab its victim deep into its gullet. When at full extension, a vixus' tentacles could form a 7-meter radius. When a vixus was standing still, its tentacles appeared to be harmless ropey vines growing at a grassroots level. As soon as a victim walked too close to its tentacles, the vixus opened its maw and flailed its limbs, dragging the ensnared prey into its mouth. During a battle on Umbara, during the Clone Wars around 21 BBY, a clone trooper named Hardcase stepped on one of the vines; the vine retaliated by picking up Hardcase and swinging him about. Although it let Hardcase go, it picked up another trooper and despite the blaster shots it received from the other clones, it chewed the clone up. However, it met its demise when it tried to eat another clone trooper by the name of Fives. Fives activated a grenade and tossed it to one of the vixus' tentacles which it then swallowed. The grenade exploded, killing the vixus and saving Fives. 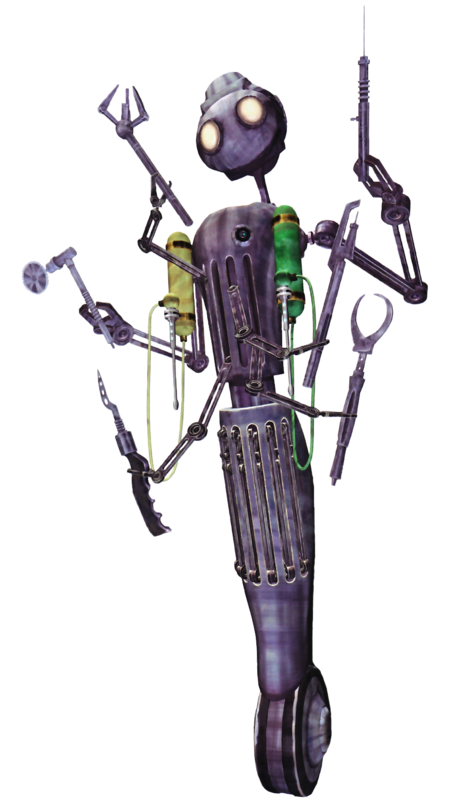 A second vixus was used in the capture of Jedi General Pong Krell. As Krell slaughtered dozens of clones, the trooper Tup came up with a plan to capture the General in a vixus. 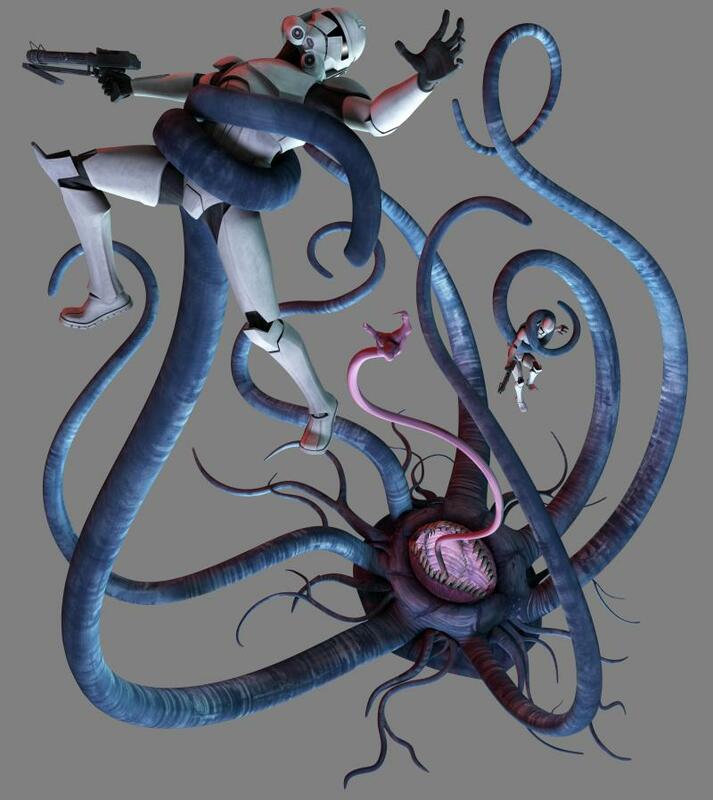 After having been taunted by Tup, the general unknowingly ran towards the clone trooper and ended up being caught in its tentacles. Despite slicing off many of the vixus's tentacles and later killing it, the general was shot with stun shots from a blaster rifle causing him to fall down heavily weakened. The clones later arrested Krell, and eventually one named Dogma shot and killed the general.